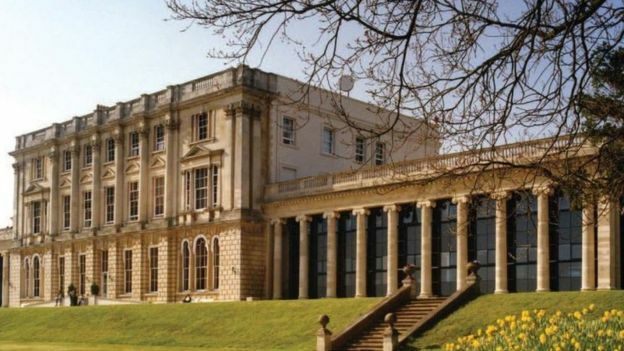 Caversham Park is the home of BBC Monitoring which for over 70 years has been the eyes and ears of the BBC, watching, translating and analysing the world’s media and social media. David Amanor visits the former stately home to meet some of the journalists who’ve witnessed history unfold in their own countries, from the Cold War to the Syrian conflict. Senior Editors Simona Kralova and Chris Greenway take us back in time to tell the story of how this grand house become a hub for information gathering, from the era of morse code and typewriters to satellites and social media. Sifting information from misinformation has always been part of the service’s DNA. Ukrainian Vitaliy Shevchenko, Iraqi Mina al-Alami, and Source Manager and morse code man Al Bolton discuss the challenges of sourcing reliable information in the past, and today. Watching distressing news from home is part of daily life for many journalists. Vesna Stancic from Bosnia, Syrian Lina Shaikhouni and Pinar Sevinclidir from Turkey discuss the personal impact of living the story. There are also lighter moments to be enjoyed at Caversham, particularly for the musical, including Co-ordinating Editor Tom Mulligan, and Iranians Arash Ahmadi and Mahtab Nikpour, who do a good turn on the guitar, jaws harp and drums when not analysing Iranian politics and tales of chubby Chinese squirrels. Click here to listen to the radio documentary on the BBC website. This entry was posted in Broadcasters, International Broadcasting, News, Shortwave Radio and tagged BBC Monitoring, BBC World Service on January 2, 2017 by Thomas.